To access Personalized Plan Dashboard, hover over the Apple icon on the navigation bar on the left, then select Personalized Plans from the dropdown menu. 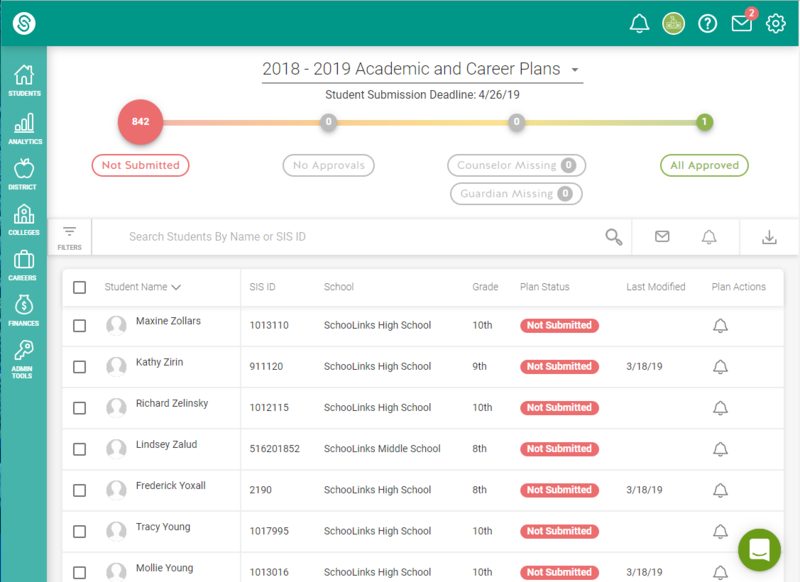 The Course Planner Dashboard is where counselors will be able to see student course plans and the status of those course plans. At the top there is a progress bar that shows the status of course plans for students. 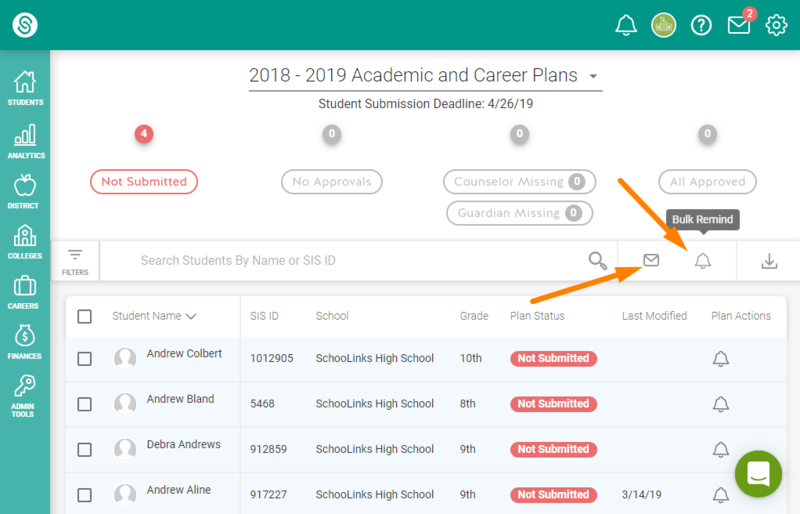 Use the message and remind features to message students and/or guardians and remind them to complete their personalized plans!